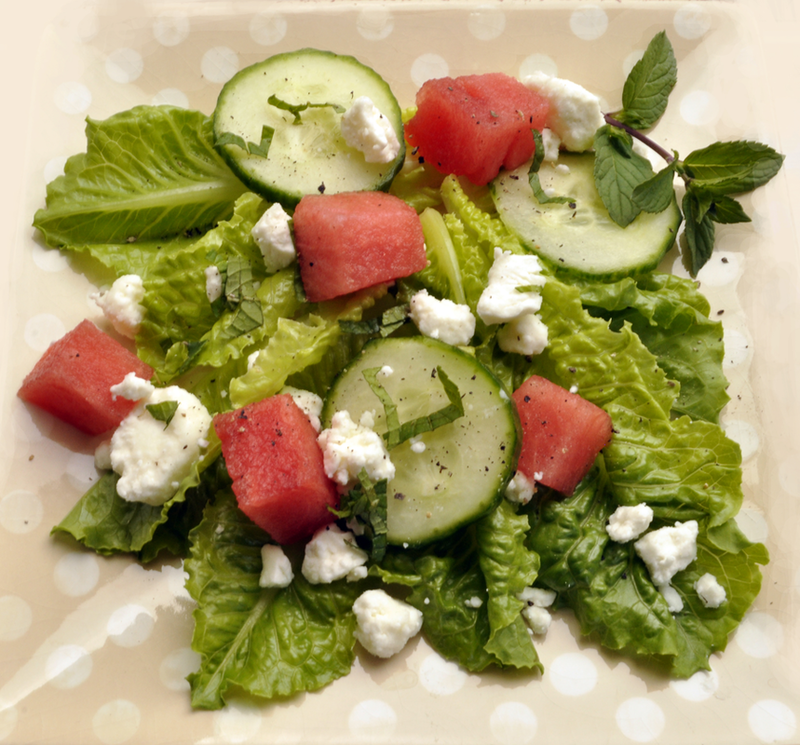 In a medium bowl, mix all ingredients except oil & vinegar dressing and pepper. Just before serving, toss salad mixture with dressing. Garnish with pepper. 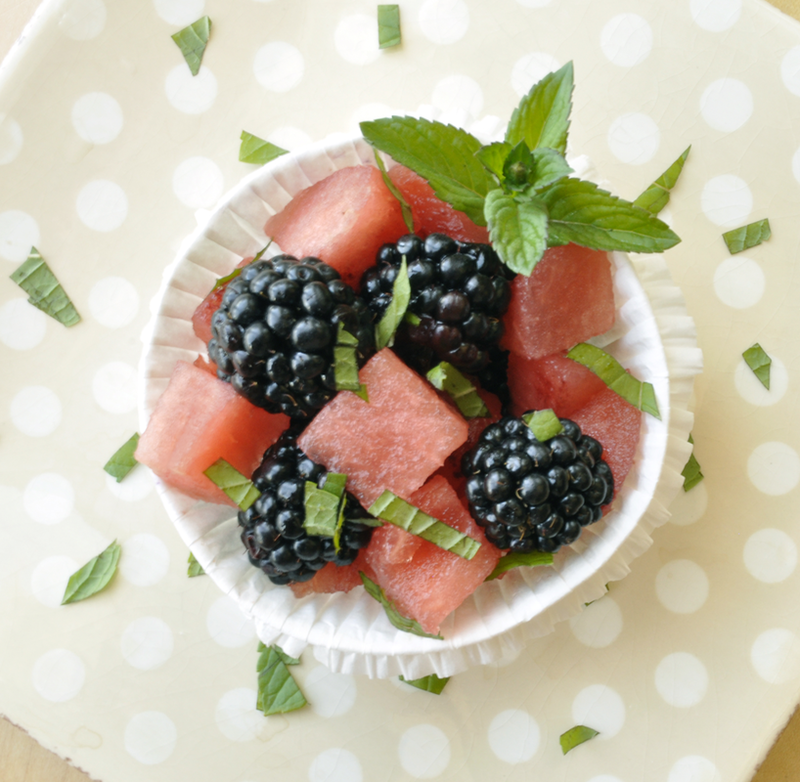 Combine berries & watermelon cubes in a medium bowl. Refrigerate mixture until ready to serve. Stir in fresh mint just before serving.